I randomly discovered the Lowcock Razor and have done some research on the associated family. I do not know if I am related, let if you can help fill in the gaps. There’s a George Lowcock, listed in the London Post Office Directory (thanks, Google Books) as a Razor Maker & Cutler. A Cutler is a maker of cutlery. George Lowcock made the Lowcock Razor. The 1817 directory, George’s address listed as 8 Ball Alley, Lombard-ft. Which according to Wikipedia, Ball Alley ran off Lombard Street. The site is now occupied by a Barclays Bank. Ball Alley was in London EC2. In 1843, the address for George is listed as 38 Cornhill. 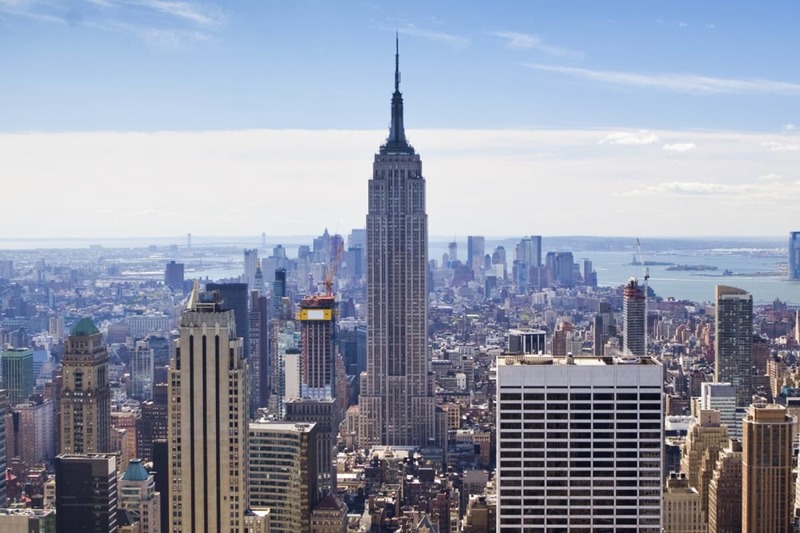 A Google Map search shows that both addresses are in Bank and a short walk from the historic location of Ball Alley to Cornhill would have been about 0.1miles or about 2minutes. I did find out that George Lowcock Jnr lived with his father George Lowcock Snr. 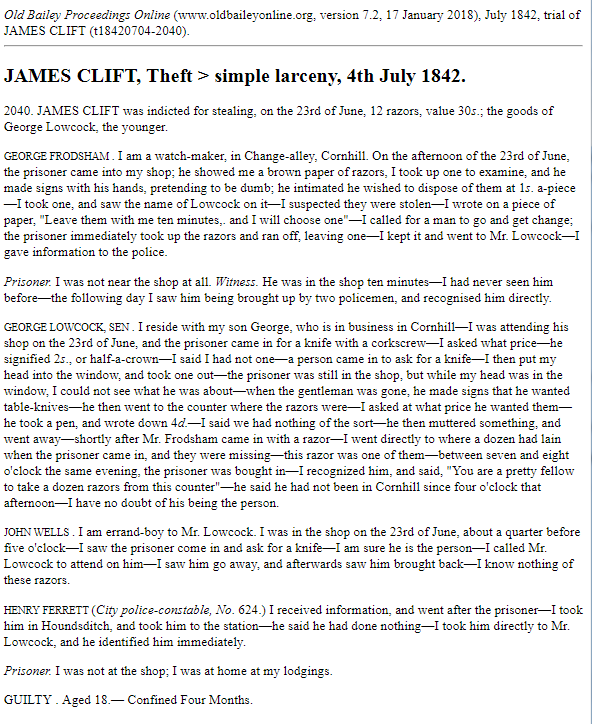 Their store on Cornhill was robbed in 1842, the culprit was caught and it went to trial. According to the court transcript, the business sold knives, corkscrews, and Lowcock Razors. The Lowcock Razor and Lowcock Cutlery must have been held in some esteem. 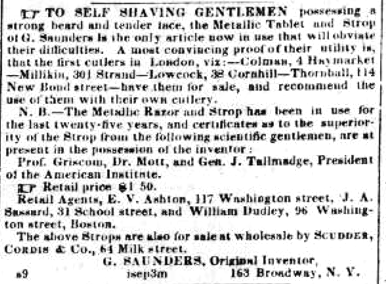 I discovered a classified advertisement in Boston (USA), from October 4, 1842 where the inventor of a Razor Strop, quotes that the “first cutlers in London… Lowcock, 38 Cornhill…. have them for sale and recommend their use”. George Lowcock’s will is available in the National Archives (dated 9 May 1845) and some miscellaneous papers. There’s a fee to access these records. I haven’t viewed the records and I don’t know if they are useful. 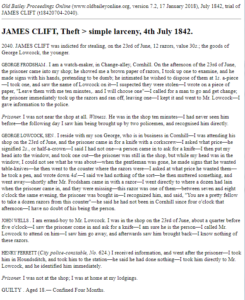 There is an obituary for a George Lowcock in “The Gentleman’s Magazine“, dated 1850 (thanks again to Google Books). It has George’s age at death of 47 in Bayswater. I am guessing this is George Lowcock Junior. As his daughter, Sophia was born in 1849 and her wedding notice (detailed later) mentions her late father. I randomly found on Jamaica Gleaner, a reference to George Lowcock’s daughter, Sophia Ruth Lowcock in a wedding notice. Sophia married Mortimer Moses Brandon, Esq., of London, and of Marble Hall, Kingston, Jamaica, eldest son of the late David Brandon, Esq., of Kingston, Jamaica, merchant. Sophia Ruth is listed as the youngest daughter (so this suggests George had multiple children) of the late George Lowcock, Esq., of Cornhill and East Grinstead. Thanks to the specific details of Sophia, I was able to trace a little more information via Rootsweb (an Ancestry.com community) and Geni. Sophia Ruth Lowcock b. 1849. Islington, London. Evelyn DaCosta Brandon b. Mar 1873. Melrose Villa, Elletson Road, Kingston, Jamaica. 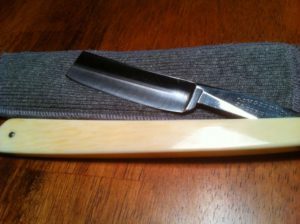 This is a Lowcock Razor, specifically a straight razor. A second photo I found shows the address of 38 Cornhill. 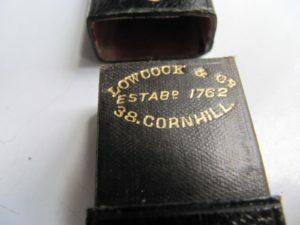 The embossed text reads “Lowcock & Co Established 1762, 38 Cornhill”. The case is made from leather and measures L 4″ (~10cm) x W 1.1/8″ (~3cm) x H 5/8″ (~1.5cm). It was described in the (now defunct) eBay listing as a clothes brush case and featured a brush. Another eBay listing of a similar product describes it as a Pocket Sized Top Hat Brush. The case was described as being in Dark Blue Moroccan Leather. One of the more interesting (but random) items to appear on eBay was a Lowcock & Co “Carriage Key”. What is a Carriage Key? The images below are of the Carriage key open and with the Carriage Key arms folded. The key doesn’t really work as a lock, in the typical sense. It’s the sort of key you would insert in a door that doesn’t have a handle (like on a train). 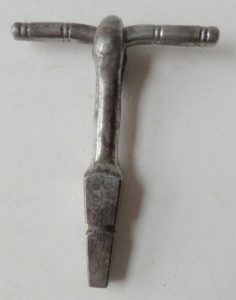 If you look at the wedge-shaped part of the key (click the image to zoom) you will see Lowcock & Co, 38 Cornhill embossed on the key. It’s “possible” that George Lowcock is related to Henry Lowcock who is important enough to have his own Wikipedia page. Henry Lowcock was born in Middlesex (similar to George) around 1837. George “may” have been his father and Sophia his sister but I need to do much more research. 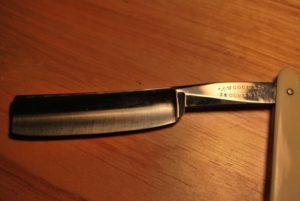 I am sharing all I have discovered about the Lowcock Razor, George Lowcock, his family. I do not know if there is any relationship to me. If you can assist – please check out the Lowcock Family History Help Needed page.